Several Fairmont Raffles Hotels International (FRHI) locations were experiencing lower-than-average occupancy rates after the worldwide economic downturn. 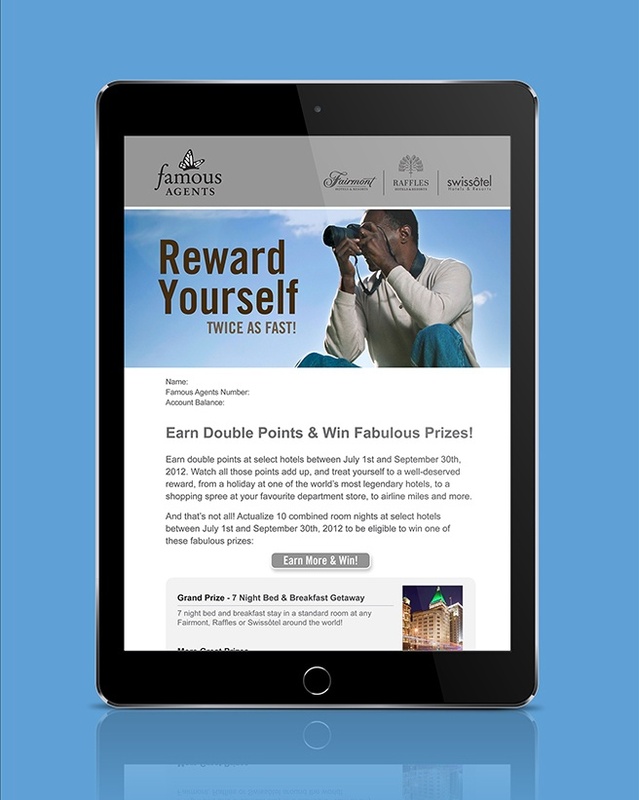 To engage the B2B community and keep the Fairmont brand top of mind in order to boost bookings. 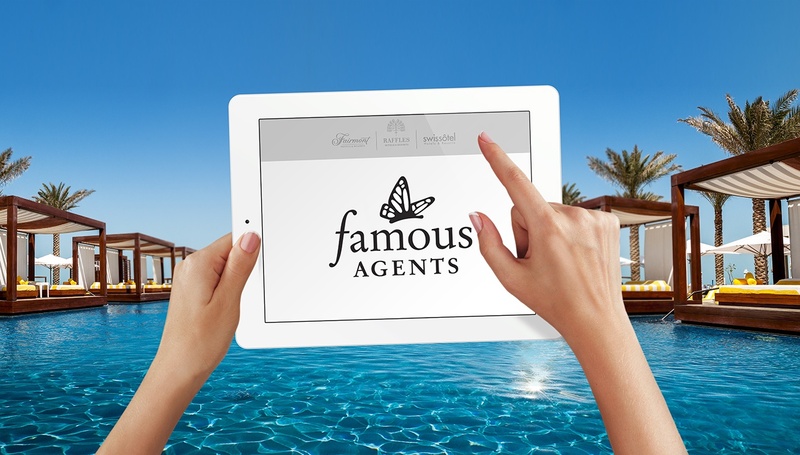 GET LIFT Agency created a B2B loyalty marketing program to attract frequent business travelers and promote how the luxury chain of hotels could enhance their business trip experiences. 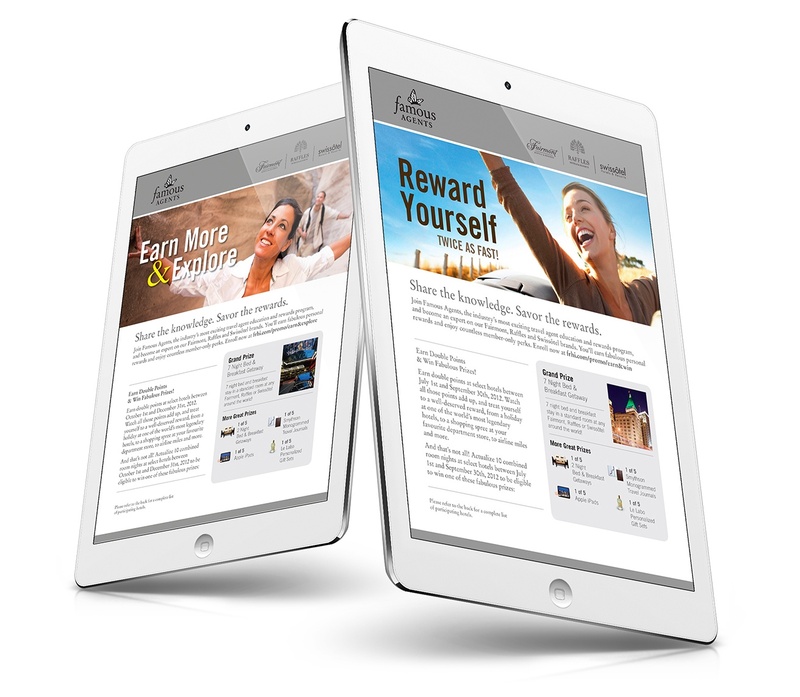 GET LIFT Agency developed and executed a dynamic eNewsletter campaign. Several different personalized emails targeting potential customers were deployed. Using our best-practice knowledge of buyer profiles, we targeted the messaging around variables such as region of origin, profession and travel-related passions. 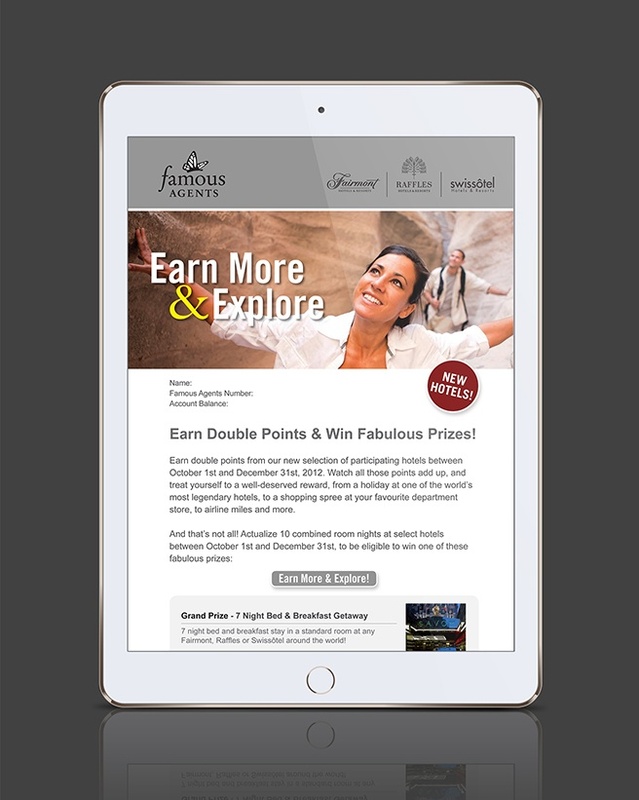 All email correspondence directed the reader to a microsite which provided greater detail on how potential customers could reward themselves twice as fast by earning double points. The site also expanded on the prizes that could be won. A variety of banner ads were used to promote the key message on various digital properties. 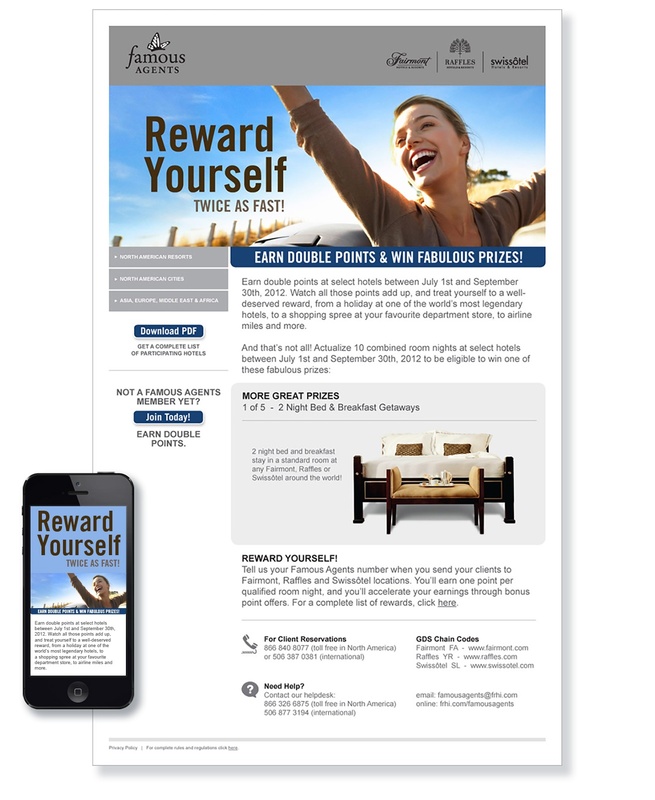 Each banner ad was clear and concise, and reinforced the “reward yourself twice as fast” messaging along with the promotion’s timeframe. Sell sheets were created and supplied to agents to use in their retail locations as a sales aid. 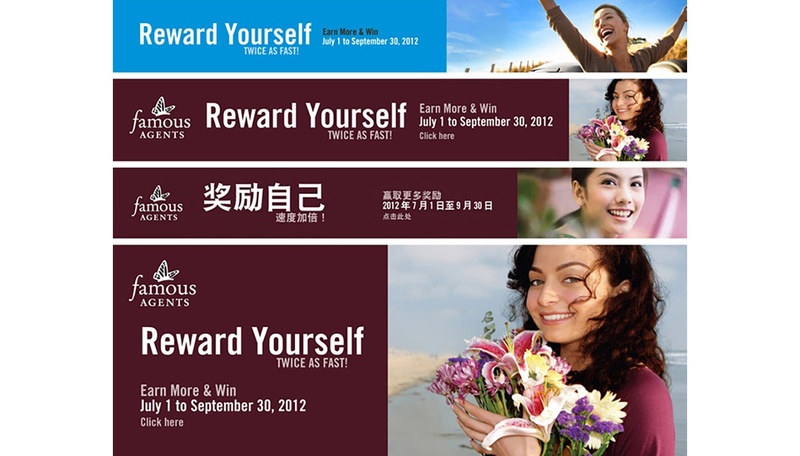 They outlined the promotion in detail including the rewards message, the prizes to be won and the contest deadline. The program outperformed expectations, acquiring 1,300 new members each month and achieving a 14% increase in room bookings over the previous year—exceeding FRHI’s goal by 10%.